If looks could kill, the boys we talked to a few days ago would have been a massacre. 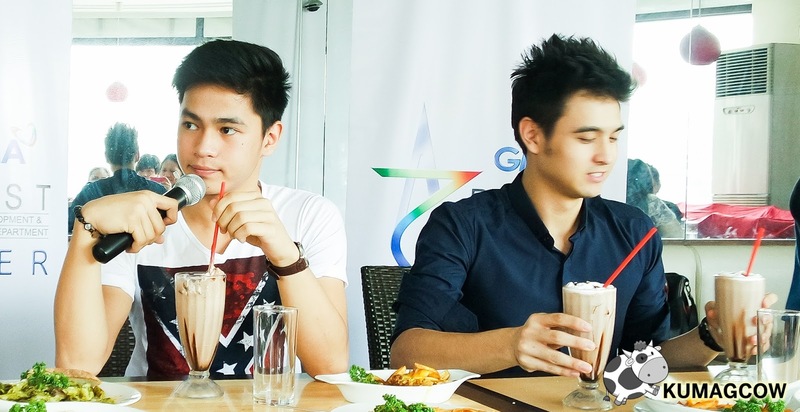 Some of GMA Artist Center's prized men sat down with us to tell us a little something about how they'll be spending their summer vacation. I know everyone's been eager to do that in a few days and I guess this is quite timely. 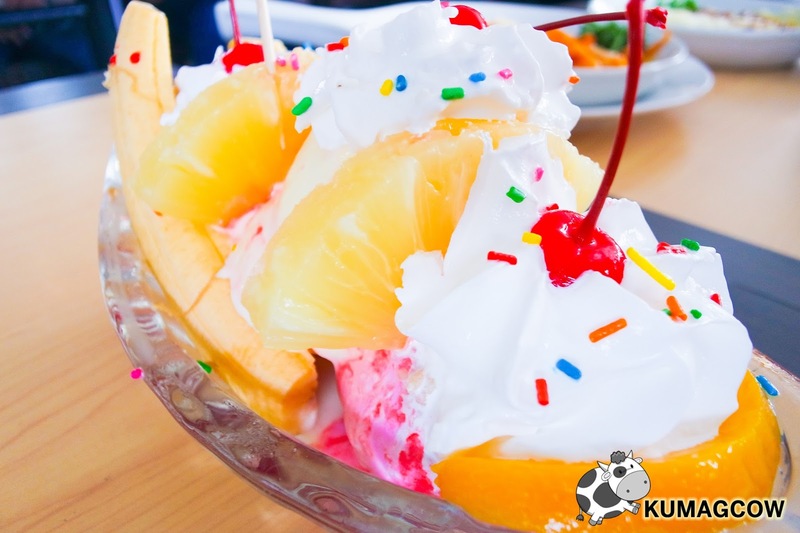 We know it's hot outside and perhaps we're covering this to make you feel even hotter, we talked to them over banana splits! What's better than ice cream in a hot afternoon? 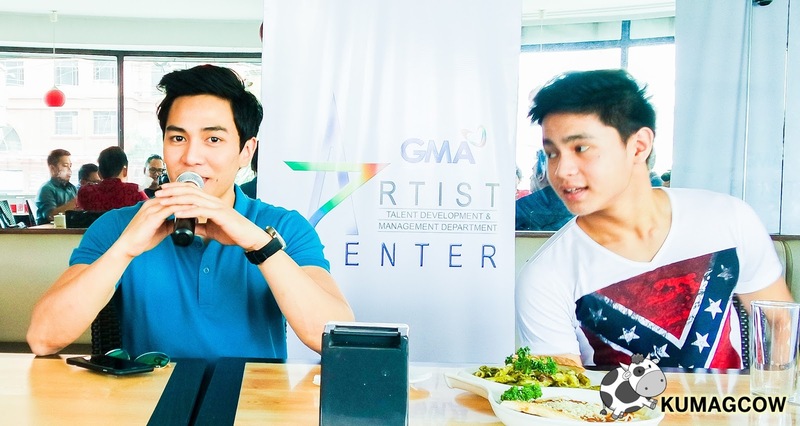 GMA Artist Center offers Jak Roberto, Prince Villanueva, James Teng and Elyson De Dios. They're doing different shows and projects right now, but aside from their acting prowess, what might actually be interesting is these guys don't have that much chance to talk to their fans or perhaps people to get to know them. 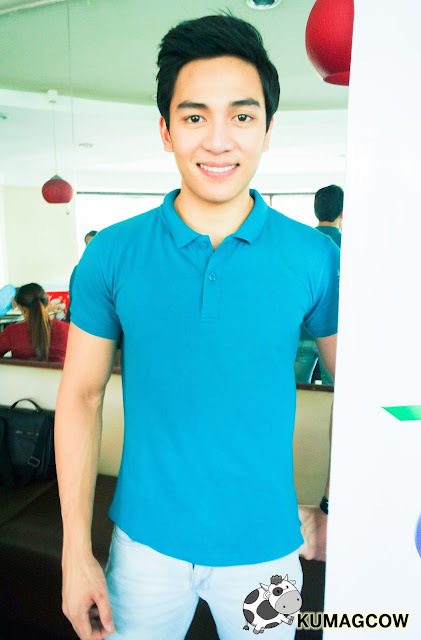 He's Jak Roberto. We've been able to feature him in the past when he was part of 3logy, a singing group that he stills belong to now. 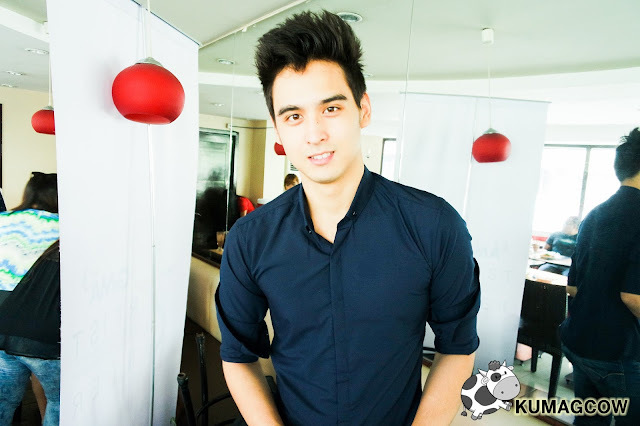 Although they're not as active as before because of individual projects, Jak tells us that he still performs for corporate parties and events. He also was very busy with the very successful Half Sisters and a couple more shows pretty soon. 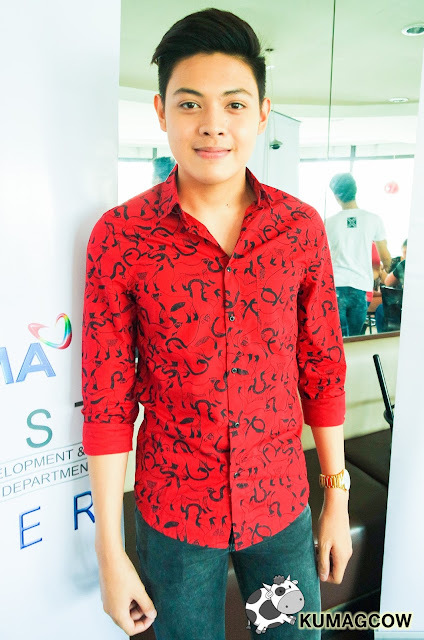 Currently, he's doing a support role as Elmo in the Bea Binene and Derrick Monasterio starrer "Hanggang Makita Kang Muli". 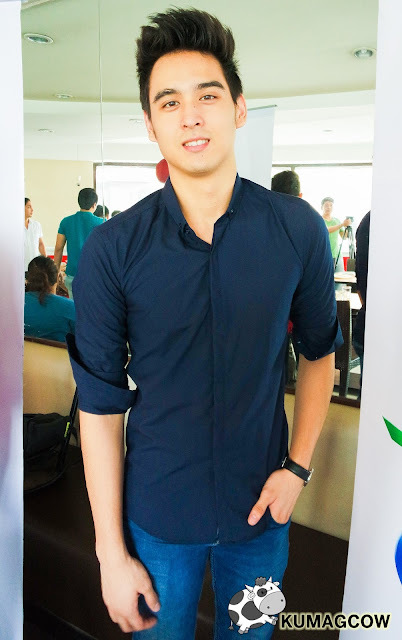 He's hotter than your summer because I saw how \ther bloggers during our interview get swooned by him. He's a charmer, he talks like that boy next door you've always wanted to meet. It's just a coincidence that he's got 6 pack abs to his cute face. Now I'm sure you'll see more of him very soon as he's eager to make more indie films (he's got one in the pipeline), more TV shows and perhaps an album soon. Here's another one. 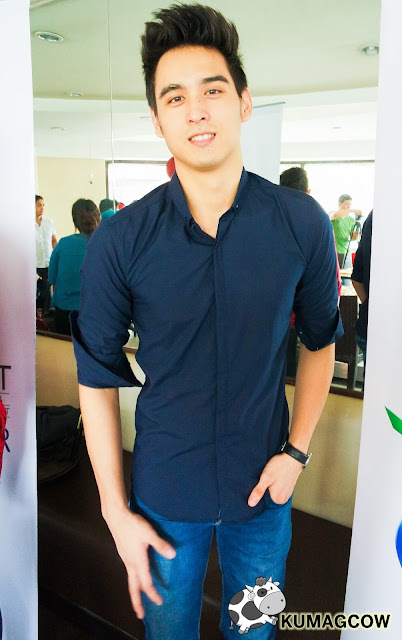 This here is Prince Villanueva. First time I saw him was during Bianca Umali's surprise birthday party. He's also in the project "Wish I May" together with Miguel Tanfelix and plays Dave as part of a love triangle. Prince I can say is more for the tweens and teens as he's still very young, built like a cutie. I think it's too early for us to actually talk about where he's going, and he's actually a very quiet person. You can quantify that either by him being a little shy or perhaps that's just how he is. I'm sure he's probably gotten a lot of fans since he's not bad looking. Like first boyfriend material, girls am I right? I think with the right projects and a couple more workshops, he's going to be as good as those who also hail from Kuya Germs' stable. 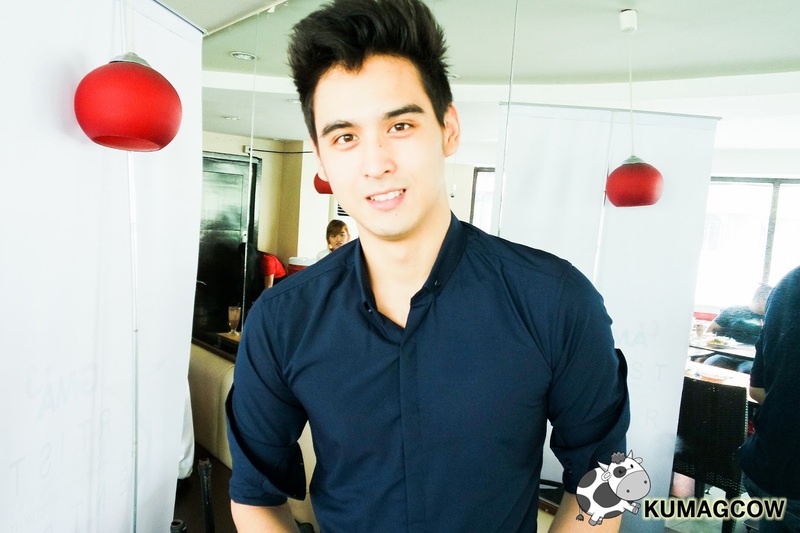 He started in Walang Tulugan by the way and he's looking forward to more TV appearances and shows. Look him up if you find him cute. Which reminds me of our next guy. 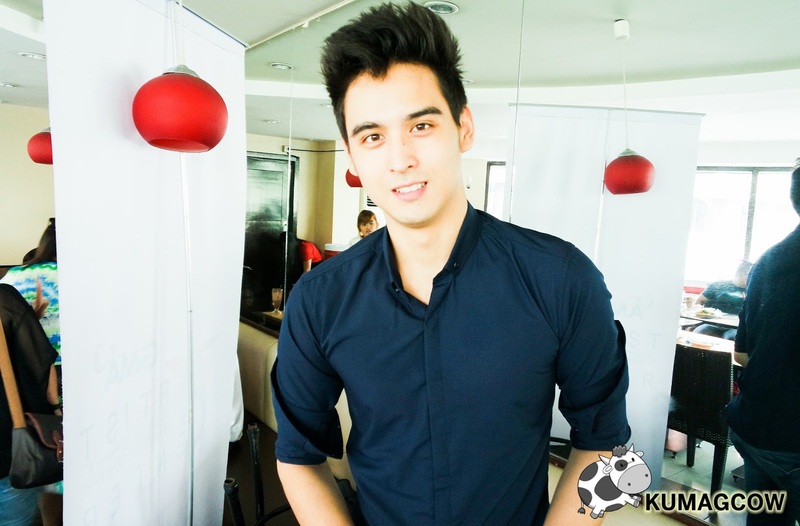 Meet James Teng. 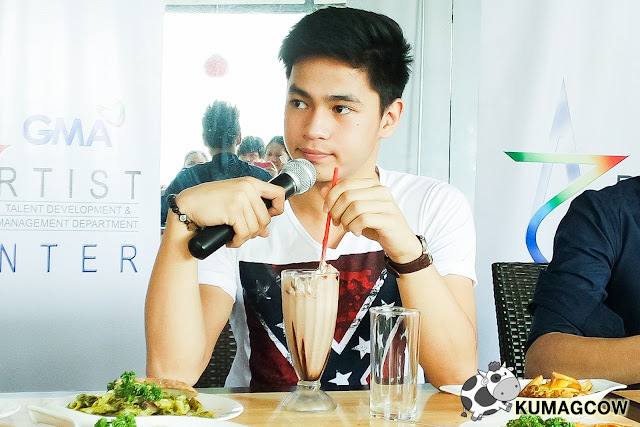 He's the nephew of PBA legend Alvin Teng and cousin of the famous Teng brothers. In person, he's extremely good looking. He's also very tall, and has been modeling even before Starstruck days. He now appears in Ismol Family and plays third wheel with BiGuel's characters. He seems genuinely nice, approachable but is a little reserved answering questions. Either he's too nervous, or too private. I'm sure ladies won't mind still. I heard he's currently with someone, but that's another story. He's like a gem in the rough. I'd give this guy a couple of years, I'm sure he's going to be a successful lad very soon. 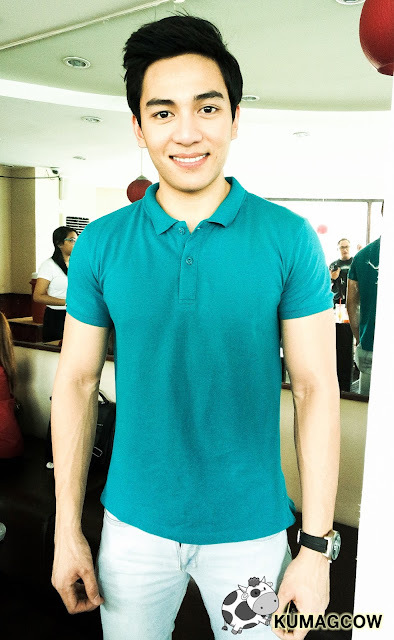 When I suggested to a friend to get him an endorsement, he already knew and saw potential in this guy. If you're going to see James in the near future, it'll look so bright he'll blind you with his looks, that I'm quite sure of. After that good looking guy, we'll end it with Starstruck's current First Prince! 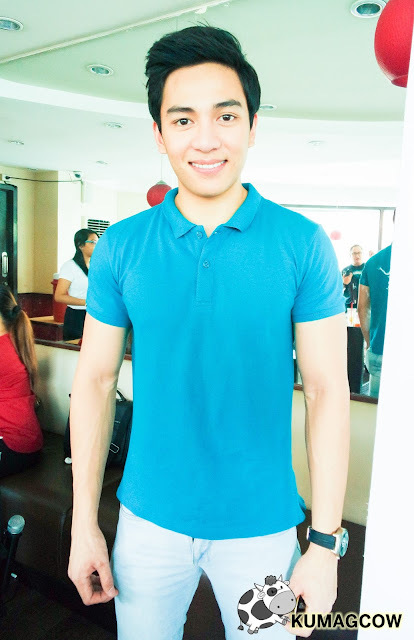 Yes, he's Elyson De Dios. 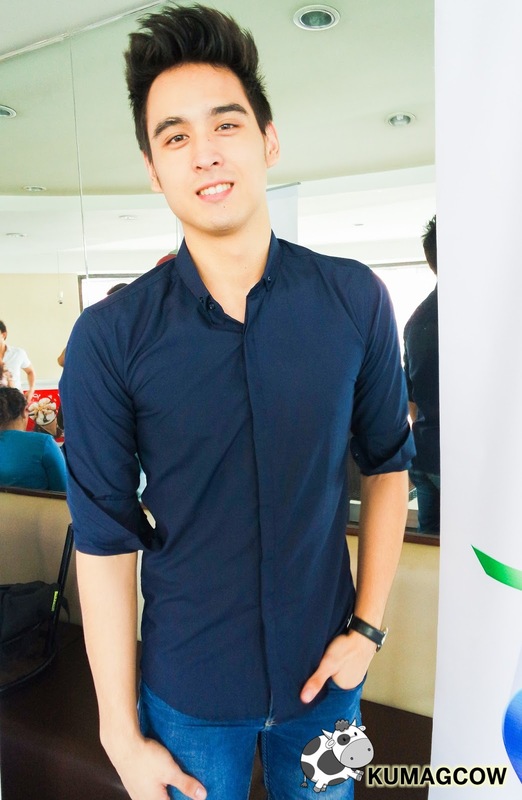 As mentioned he's the current First Prince of Starstruck Season 6. He's from Cebu and is a very athletic guy (you can probably see he's got a great body). He's also very charming, very spontaneous to talk to. 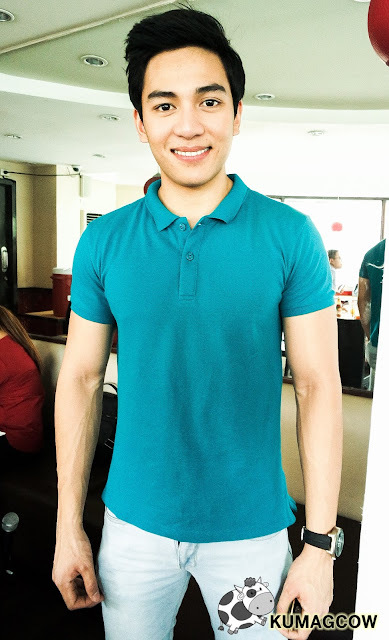 He was a little off when we first interviewed him, but he justifies that he only wanted to win the Starstruck crown, but he's okay now and says he's just like any Starstruck hopeful that was eager to win. That makes sense. 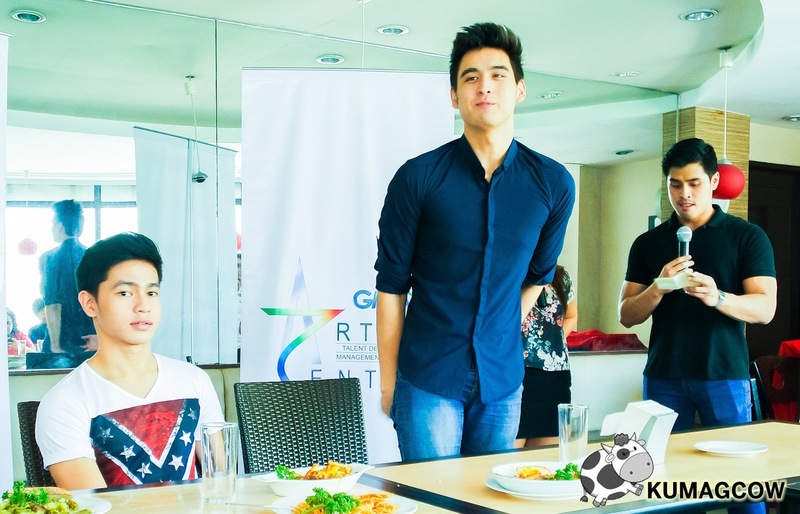 Now he's extremely happy because he's going to be in several GMA shows. Right now, he's part of Poor Senorita together with Asia's Songbird Ms. Regine Velasquez Alcasid. He's treating this as an enormous blessing because he gets to work with some of the industry's best and said that he couldn't believe that he's part of the show. A lot of people are swooned by him. we could see on Facebook and Twitter actually asked his name when we didn't indicate it on the posts. There's reason to be interested with the good looking lad, and I'm sure he's also destined for stardom. 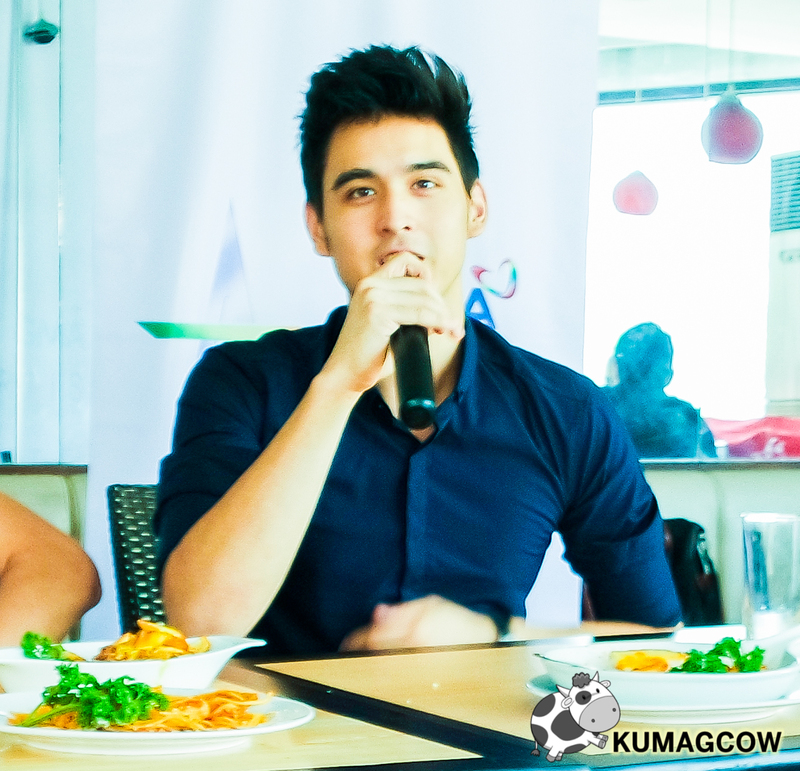 Here's a short video of what transpired during the blogcon. Now if you're interested to meet these guys, I suggest you follow them all on their social media channels. Better yet, follow Artist Center on Twitter and Instagram as they post updates of your favorite GMA stars everyday. Do you agree they are the hottest boys this summer? Discover them now @artistcenter.